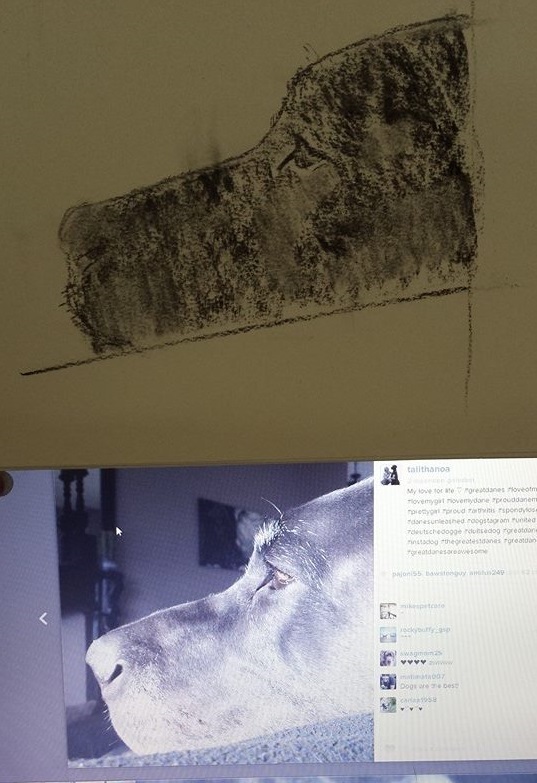 It is so wonderful to read how your creative life started... Amazing that now (three years minus one week later) you have drawn so many dogs (and some horses too), with such love and eye for detail (oog voor detail, ik weet de juiste Engelse uitdrukking niet). Very special. You inspire me! Groetjes, Annemarie Slee (ik vond je op FB via de copywriting cursus).